As I write the program management book, I am struck by how difficult it is to estimate large chunks of work. In Essays on Estimation and Manage It!, I recommend several approaches to estimation, each of which include showing that there is no one absolute date for a project or a program. Plan to replan. Decide how much to invest in the project or program for now. See (as in demo) the project/program progress. Decide how much longer you want to invest in the project or program. Work to a target date. A target date works best if you work iteratively and incrementally. If you have internal releases often, you can see project/program progress and replan. (If you use a waterfall approach, you are not likely to meet the target with all the features you want and defects you don’t want. If you work iteratively and incrementally, you refine the plan as you approach the target. Notice I said refine the plan, not the estimate. Provide a 3-point estimate: possible, likely, and worst case. This is PERT estimation. Provide a percentage confidence with your estimate. You think you can release near a certain date. What is your percentage confidence in that date? This works best with replanning, so you can update your percentage confidence. Each of these shows your estimation audience you have uncertainty. The larger the project or program, the more you want to show uncertainty. 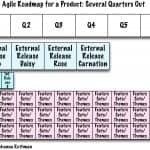 If you are agile, you may not need to estimate at all. I have managed many projects and programs over the years. No one asked me for a cost or schedule estimate. I received targets. Sometimes, those targets were so optimistic, I had to do a gross estimate to explain why we could not meet that date. However, I am not convinced anything more than a gross estimate is useful. I am convinced an agile roadmap, building incrementally, seeing progress, and deciding what to do next are good ideas. When you see this roadmap, you can see how we have planned for an internal release each month. With internal releases, everyone can see the project or program progress. In addition, we have a quarterly external release. Now, your project or program might not be able to release to your customers every quarter. But, that should be a business decision, not a decision you make because you can’t release. 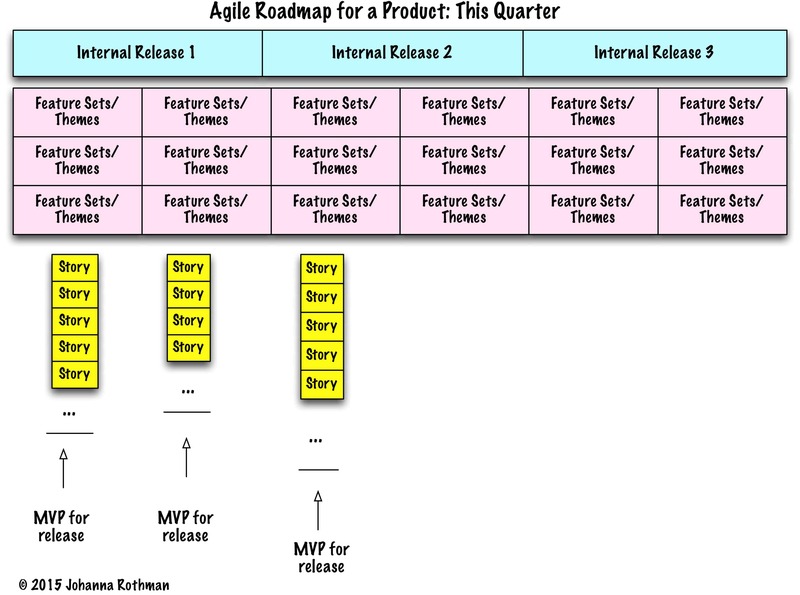 If you are not agile, you might not be able to meet a quarterly release. But, I’m assuming you are agile. In the one-quarter view, you can see the Minimum Viable Products. You might need to replace MVPs with MIFS, Minimum Indispensable Feature Sets, especially at the beginning. If you always make stories so small that you can count them, instead of estimate them, you will be close. You won’t spend time estimating instead of developing product, especially at the beginning. You know the least about the risks and gotchas at the beginning of a project or program. You might not even know much about your MIFS or MVPs. However, if you can release something for customer consumption, you can get the feedback you need. Are these stories too big to count? If so, any estimate you create will be wrong. Are we delivering useful work? If so, the organization will continue to invest. Are we working on the most valuable work, right now? What is valuable will change during the project/program. Sometimes, you realize this feature (set) is less useful than another. Sometimes you realize you’re done. Are we ready to stop? If we met the release criteria early, that’s great. If we are not ready to release, what more do we have to do? However, you do need the planning of roadmaps and backlogs. If you don’t have a roadmap that shows people something like what they can expect when, they think you’re faking. 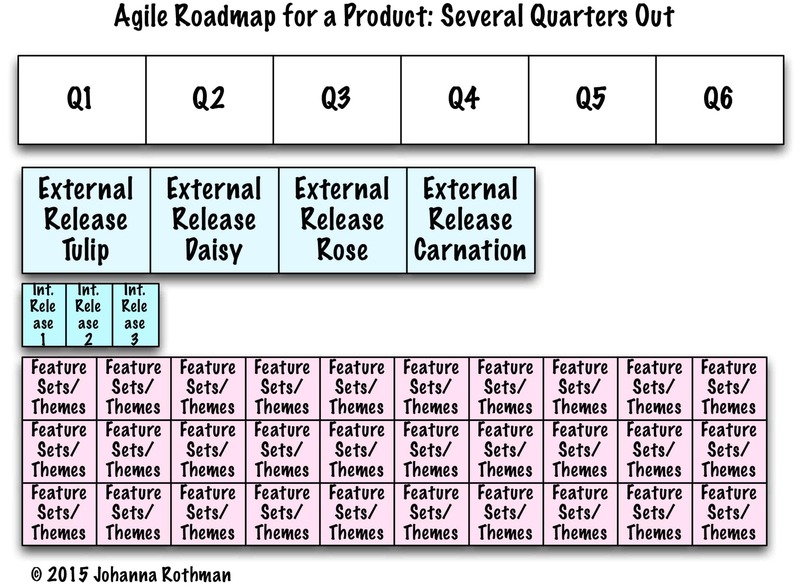 You need to replan the roadmap, because what the teams deliver won’t be everything the product owner wanted. That’s okay. Getting feedback about what the teams can do early is great. How much would you like to invest in this project/program before we stop? How valuable is this project/program to you? If you work on the most valuable project/program, why are you estimating it? You need to understand how much the organization wants to invest before you stop. If you’re not working on the most valuable project/program, you still want to know how much the organization wants to invest. Or, you need a target date. 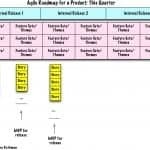 With a target date, you can release parts iteratively and incrementally until you meet the target. This is risk management for estimation and replanning. Yes, I am a fan of #noestimates, because the smaller we make the chunks, the easier it is to see what to plan and replan. We need planning and replanning. I am not convinced we need detailed estimation if we use iterative and incremental approaches.